A pair of golden south sea pearl earrings ranging in size from 10mm to 13mm. 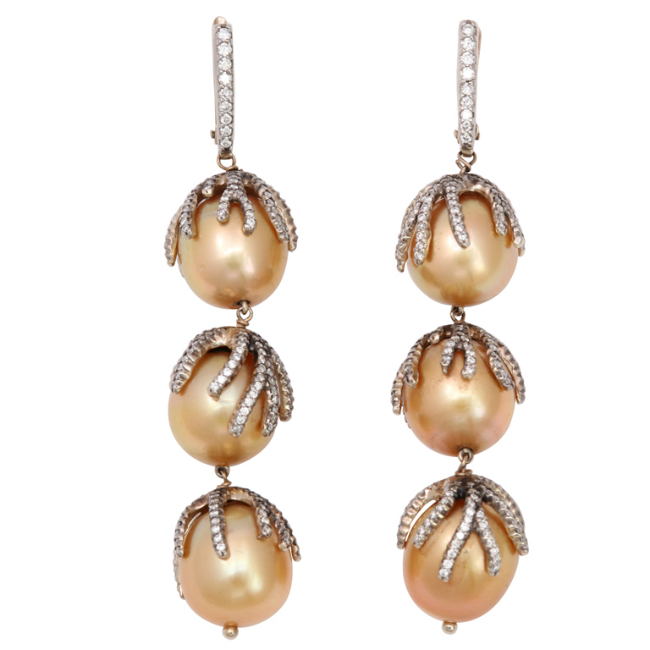 Each pearl has an 18kt gold and diamond star fish cap. The earrings are suspended from 18kt yellow gold and diamond clips.